Örebro, Sweden: Täby Air Maintenance, TAM, has now delivered its second cargo converted Saab 340B (G-LGNN) to Scottish airline Loganair, a long-term TAM customer. The aircraft, thoroughly modified to a full cargo configuration, joins three by TAM previously cargo converted Saab 340’s, two A’s and one B-model. After completing conversion, TAM also performed a major heavy check on the aircraft before it was flown to the UK and Airbourne Colours for a complete respray in Loganair’s stunning new livery. Loganair will use their fleet of four cargo converted Saabs to serve the Royal Scottish Mail with air freight capacity. 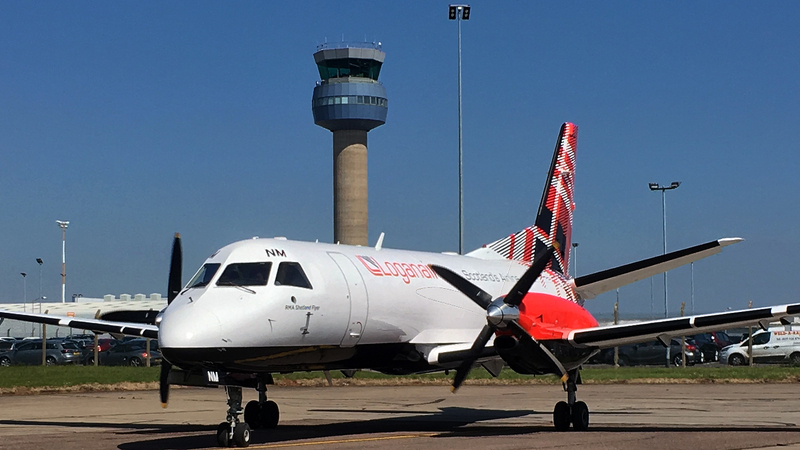 –	I am glad we once again have been trusted by Loganair to provide them with a business vital solution, says Pär Gulle, TAM Managing Director. –	This recent delivery is a valuable sign of confidence in the partnership with one of our premier partners, as the conversion in full was done to TAM’s STC. We are proud to be a long-term partner to Loganair and see that we continue to consolidate our position as the globally leading Saab 340/Saab 2000 service partner. –	Earlier this year we got a dual EASA-FAA approval for our high-end Saab 340A and Saab 340B cargo conversion program, enabling us to provide a highly cost effective way to convert this well-renowned, fuel efficient passenger aircraft into a profitable freighter capable of carrying 36 m3 (1,280 cu ft) of cargo, Pär Gulle summarizes.